According to the U.S. Surgeon General, nearly 80% of Americans have had a cavity in their lifetime. If you’ve had a cavity, you know how painful it can be. Thankfully, your Westfield family dentist can seal your cavity with a filling to help protect the tooth from further damage and decay. A dental filling a process that uses safe materials to seal small holes in the teeth which are caused by tooth decay. After your dentist discovers a cavity, they will use a tool to remove the decay. 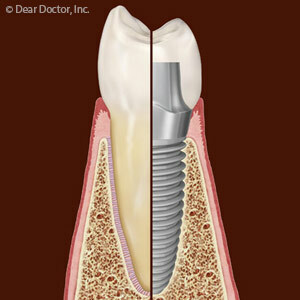 Once the decay is gone, they will prepare the hole for a filling, which will protect the tooth and restore it to its full function. There are two major types of dental fillings that your dentist can use. Westfield dental patients can choose from either type of filling. Your dentist may recommend one over the other depending on your tooth condition and your budget. Metal fillings have been used for over 100 years to restore teeth after dental work. Amalgam, otherwise called silver fillings, are quite inexpensive but very durable. Gold fillings are also durable but more expensive. Both types of metal fillings are very noticeable, which may bother some dental patients. Tooth-colored fillings are a popular choice among patients who would prefer for their fillings to look more natural. They can be made of composite, porcelain, or acrylic and glass mixtures. These material are durable, but not necessarily considered as strong as metal fillings. Porcelain fillings resist staining, but are a more expensive option. The type of filling you choose is a personal decision which should be made after talking to your dentist about your unique dental needs. The most important trait of any filling is that it protects your tooth from further damage and helps restore function and health to the tooth. Dr. Kenneth Krause from Krause Dental in Westfield, IN can remove your tooth decay and seal it with a filling. Schedule an appointment today by calling their office at (317) 399-9329.